have somebody met machine like this? 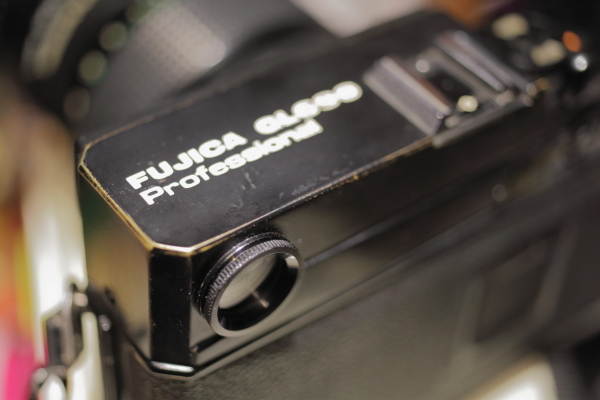 Came out from Fujica "G" family if I can mark it like that. This one is special with changing bayonet. 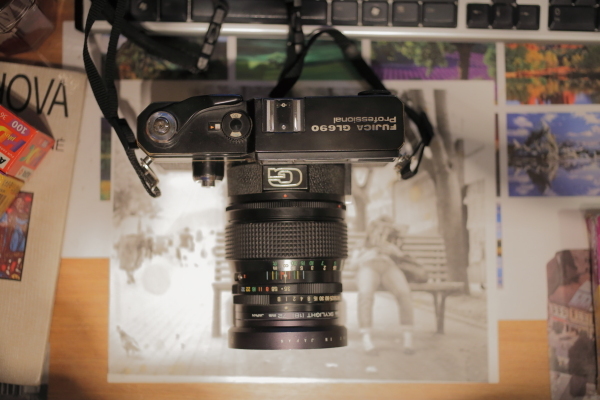 In terms of technical data it is really nice middle format cam with approximatelly 6x9 cm large image size. Here is the possibility to use sheet film with that and roll/sheet switcher with Japanese letters (really like this part). Flash hot shoe. There is X-sync contact on the lens itself. Film type switcher from 4 exp. 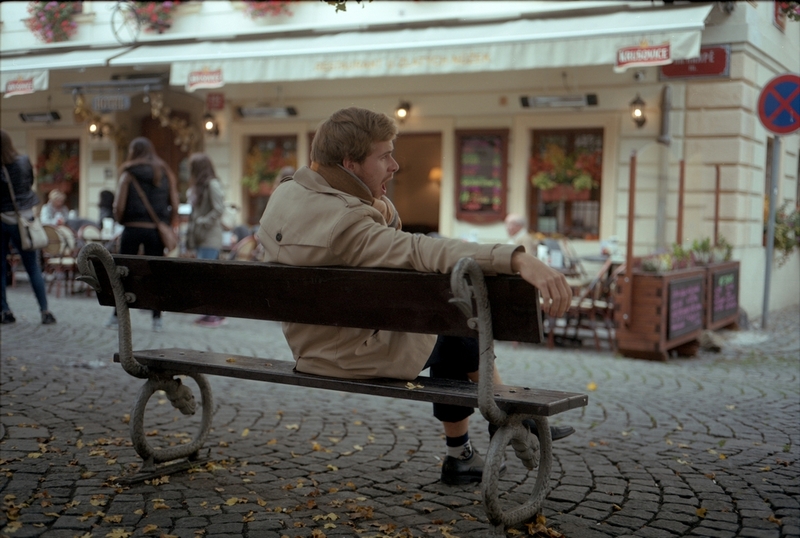 120 (there were special short films) , 8 exp. 120 and 16 exposures with 220 film. And large winder. And in the end lens. 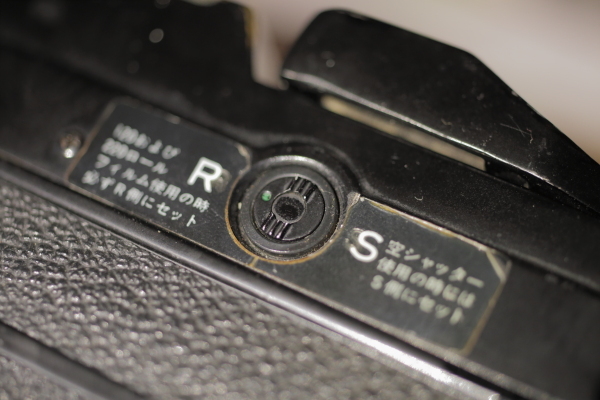 Every lens from this series have aperture and shutter (leaf shutter Seiko brand) inside. 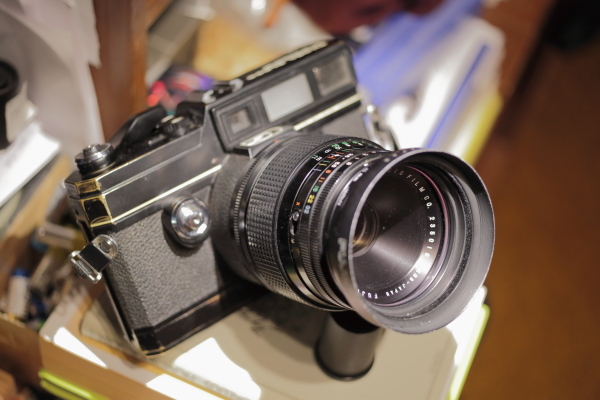 Standard lens is Fujinon 100/3.5 (tessar type). There is Auto exposure type also with mettering and except 65mm, 150mm, 180mm there is special 50/5.6 lens. Here is F-stop with shutter times and focusing. Who finished it to the end until here I have good news. 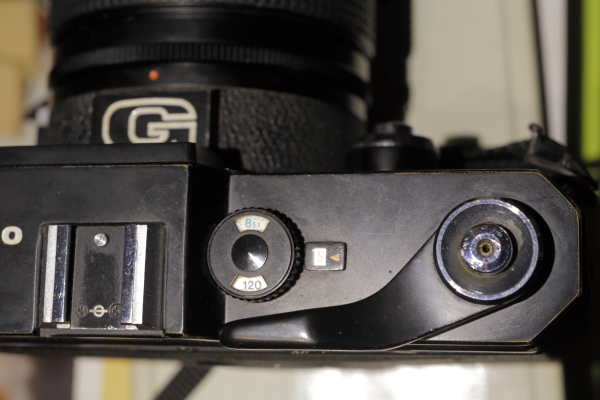 Trying to get some Epson flatbed scanner to digitalize my fresh negsfrom this cam. 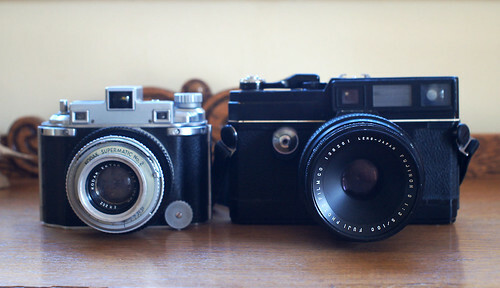 So maybe I post some here to certify how is shooting with that large rangefinder. That's a great camera you have. 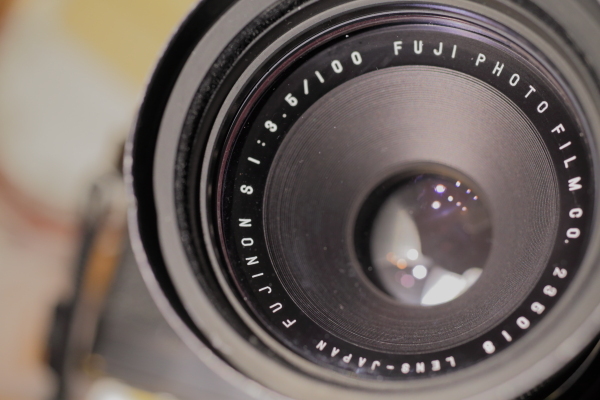 Most of the Fuji Gx690 series (GW690, GW690II, GW690III, GSW690, GSW690II, GSW690III) have a fixed lens. The model with the bayonet mount is not as common. Looking on eBay just now, almost all of the interchangeable lens 690s are coming from Japan. The Fuji Gx690 series are often referred to as "Texas Leicas" -- not because they were made in Texas, but because of the "everything is bigger in Texas" mindset, it picked up the nickname. Enjoy it. Those Fuji lenses are first rate. Thanks Michael. Yeah "Texas Leica" that is it. Really applicable nickname. What is tempting in that bayonet is maybe Fujinon SWS 50/5.6. I would welcome some faster glass but it compensates with better and slower handheld times over sharp images. Really looking forward on those scans. 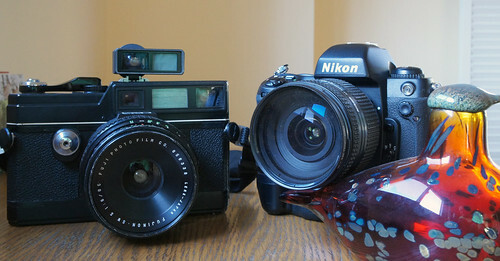 Yeah, a 50mm with a 6x9 sized negative or slide would be pretty awesome. There are none on US eBay at the moment. A few 65s, and they're priced around what you can buy the GL690 w/100mm f/3.5 for. The 50 will be even more. I saw one in some forum for 1000 dollars. So damn pricey. 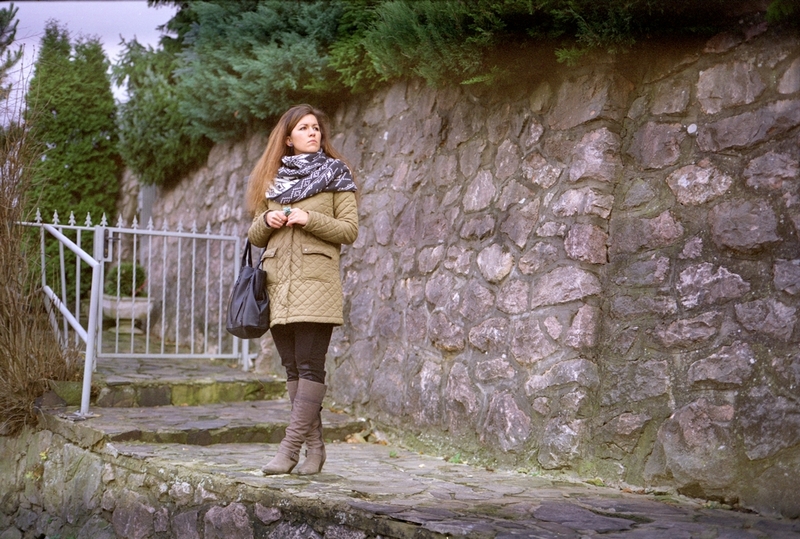 Heard once that others lesnes for this Fujica was manufactured a lot less than standard 100/3.5. 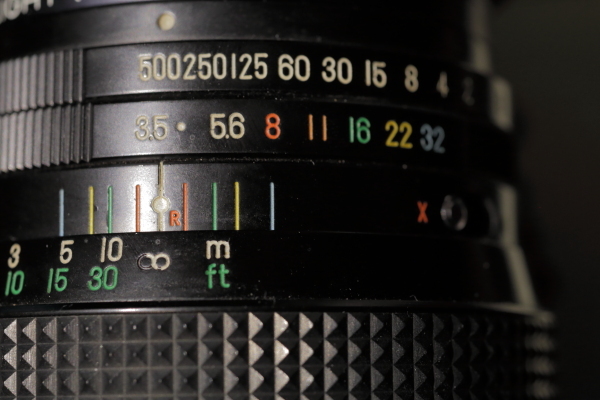 And that 50mm is quite rare. Even close focus adapter for 100/3.5 is hard to get. Thanks for contribution. I would say that GM670 and GL690 has similiar body dimensions if not the same. Difference is mainly inside with the format which they cover. But 8 frames to 10 that is a contrast. #1 shot on Kodak Ektacolor Pro 160 expired from year 2000. Exposed as 100asa. Negs came out little thin (or how to correctly name it) but able to scan as we can see. #2 shot on Fujifilm NPC 160 expired in 2006 or so. Exposed as 160 and no problem. Dense and good negs came out. This was street shot and man on pic did not ever noticed that was captured. Thanks to silent sound of shutter. 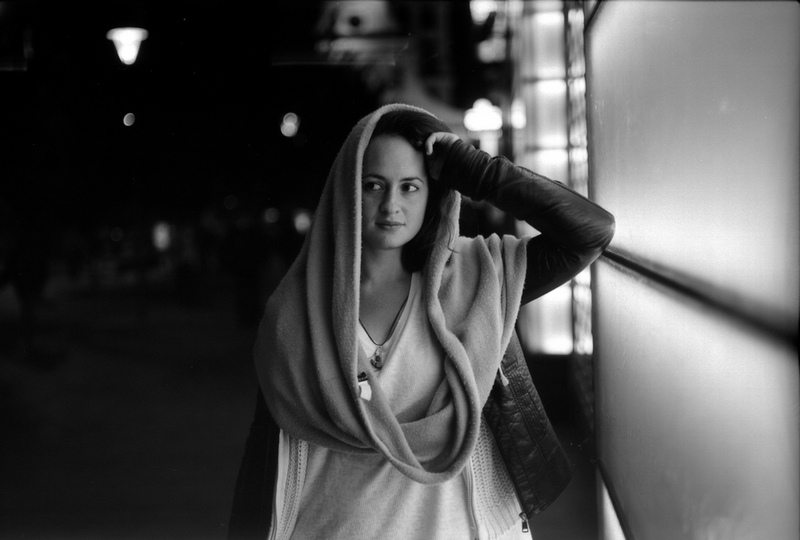 #3 last on Fuji Neopan Acros 100 pushed to 800asa. Dev in Microphen. Film maintain night shooting very well.